Could you become immortal by downloading your brain onto a computer? Some tech enthusiasts are working on it. Look up "transhumanism" in Wikipedia and you will find an extensive entry, with enough hyperlinks to keep you occupied for a very long time. Wikipedia tells us that "the contemporary meaning of the term 'transhumanism' - which is now symbolized by H+ (human plus) ... (is) an international intellectual and cultural movement that affirms the possibility and desirability of fundamentally transforming the human condition by developing and making widely available technologies to eliminate aging and to greatly enhance human intellectual, physical, and psychological capacities." The transhumanists believe that we should use the convergence of new technologies, such as nano-, info-, bio-, neuro-and robo-technologies, which are unprecedented in human history, to evolve beyond being human. They advocate changing ourselves from Homo sapiens to Techno sapiens. Transhumanists see us as presently in the transhuman stage on our way to becoming post-human - that is, not human at all. They describe natural humans - whom they refer to as "unmodified humans" - as "becoming an obsolete model." Transhumanists know that many of their ideas frighten people and have taken steps to reduce this fear. For example, "in 2008, as part of a rebranding effort, the World Transhumanist Association changed its name to 'Humanity+' in order to project a more humane image." Another fear-reducing strategy they've employed is to argue they're not proposing anything radically new or different, because we have already set out on the path to a post-human future, in that we are using technology to enhance and extend our human capacities, for example, cell phones, the internet, medical prostheses and so on. They also point out that we have always done so - for instance, with reading glasses or dentures. They propose that the latest possibilities are just more advanced examples of the same phenomenon made possible by remarkable advances in science. In short, they argue that what they are advocating is not different in kind from what we've already accepted as ethical and desirable and, therefore, any fear is mistaken. As well, the transhumanists rightly believed that the one idea everyone would buy into was life extension, or even immortality, and they intentionally put this front and centre of their agenda. They propose two approaches to achieve this. "Life prolongation" repairs nature as it fails with regenerative medicine, including organ transplants, stem-cell therapies, and so on. "Age retardation" envisions a future in which the genes that control aging are reprogrammed so we would reach puberty at say 40 years of age or later, middle age around 150 years, and old age well into our hundreds and perhaps, eventually, not at all. The transhumanists' ultimate dream is of eternal life - either here on Earth or, possibly, on another planet - through the use of technology. Consequently, transhumanism could be viewed as a "techno-utopian, secular religion": Like many religions, it seeks and promises immortality through transcendence and transformation, but realized through science, not traditional religion. Because we all have a natural fear of death and annihilation, immortality is a very attractive concept. But would the new immortal "techno me" or "techno you" - our brain contents downloaded onto a computer or robot - truly be us, or just a machine? I believe we would be the latter. And that brings to mind the concept of "genetic reductionism" - the belief that we are nothing more than gene machines or "genes-R-us" - which I also reject. Some transhumanists describe people who oppose their goals as "technophobic" and "neo-luddite" (the scientific equivalent of calling someone a dinosaur). For instance, I've been labelled in an editorial in Nature magazine, as "Canada's neo-luddite bioethicist." Let me be clear. There is an enormous amount of good that can be achieved with our new technoscience, especially regenerative medicine. The issue is where we draw the line between ethical and unethical use of it. One approach I find helpful is to ask whether we are using it to repair nature when it fails or to do something that is impossible in nature. The former usually raises far fewer ethical concerns than the latter, although, of course, it's not the only relevant question in deciding on ethics. However, as I know from personal experience and criticism when I've used this approach, "transhumanists see the very concept of the specifically 'natural' as problematically nebulous at best, and an obstacle to progress at worst," and "the natural" as having no inherent moral value. Another distinction that might help to distinguish ethical technoscience interventions from unethical ones is whether the intervention affects the intrinsic being or essence of a person - for instance, their sense of self or consciousness - or is external to that. The former, I propose, are always unethical, the latter may not be. Which leads to a related issue at a much more general level: transhumanists do not accept that there is any "essential natural essence to being human" that must be respected, an essence that I believe we must hold on trust, untampered with, for future generations. It is difficult to define what constitutes this essence, without referring to a soul or at least a "human spirit" - the latter of which does not require any religious belief, but does require that we see ourselves as more than just machines. The fact that at least a large majority of transhumanists are atheists and they do see humans as machines might explain, in part, why they believe no such respect is required. I have written elsewhere (including in MercatorNet) that I believe failing to see humans as "special," as compared with other animals or robots and, therefore, deserving of "special respect" is currently "the world's most dangerous idea," not least because it would mean the transhumanists could proceed unrestricted with their human remodelling project. But there are also much subtler expressions of the same philosophical mindset. A young woman explained to me recently that she was taking a month off work in order to decide "whether to remake myself." I fear many young people see themselves in the same way, as "human machines" or "projects," which, as an aside, helps to explain their support for legalizing euthanasia (worn-out machines are disposed of as efficiently and cheaply as possible). Probably most worrying of all, with respect to interventions on the essence of our very being, are those with a goal of enhancing people's mental or moral capacities. Neuroethics is a new field of applied ethics looking at issues raised in this context. 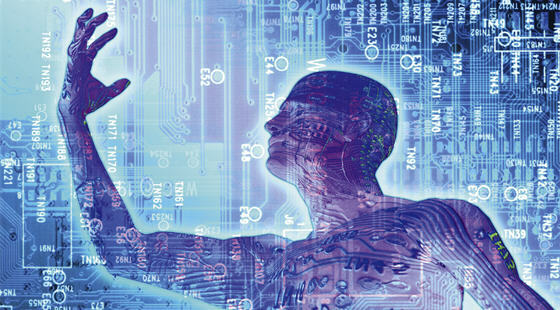 Transhumanism, again like many religions, seeks to create the morally perfect human. Transhumanists argue post-humans will be more ethical and moral than present humans, that wars and conflicts will cease, and so on. Consequently, one of their special concerns is how to ensure people in all socioeconomic classes and countries will have access to human enhancement technologies. But, leaving aside the reality that even such laudatory ends do not justify unethical means, other possibilities are not so benign. They include mind control, loss of the basis for both free will and the liberty and equality of all people (a person designed by another is not free to become her authentic self, which is the essence of freedom, and not equal to the designer), or creating fearless soldiers, who are devoid of the human moral intuition that it's wrong to kill another human, and so on. And the implications of realizing the transhumanists' agenda would change, not only individuals, but also, our societies and their institutions. For instance, it seems likely that the average human lifespan will be extended to 150 years. Human society has always basically consisted of three generations: the young, who need to be cared for; the old, who have retired; and the middle-aged, who are the generation in charge. Life-prolongation will open up the possibility of having three "middle generations" competing to be in charge. We have no experience of such a system. And what if we were immortal and didn't move on so those coming after us could have their chance? What role does death play in our individual and collective lives and what might we be and do without it? Nearly a decade ago, when I was speaking at a transhumanist conference in Toronto, one of the organizers asked me why I thought they were finding it so difficult to recruit any women members - my recollection is that they had none at that point. At the time, the adherents of the movement were largely highly educated, white men aged 20 to 45 years who had a technoscience background. It would be an interesting test of our human imaginations to try to answer this question. Margaret Somerville is director of the McGill Centre for Medicine, Ethics and Law in Montreal.